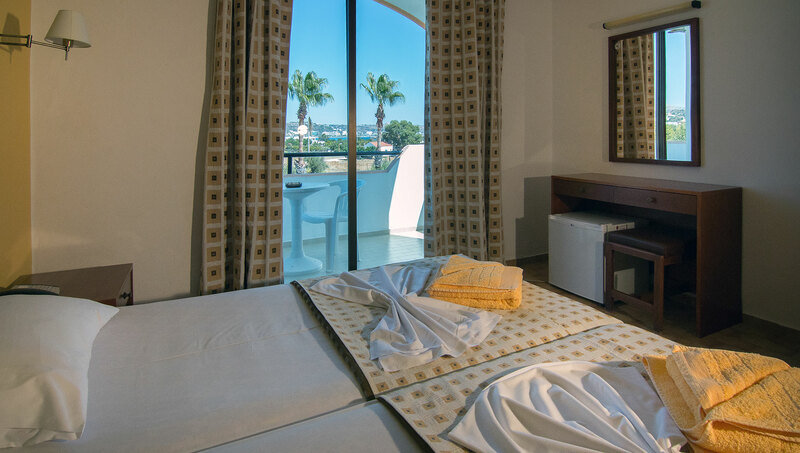 The hotel has single, double and even triple rooms (upon request) with balcony, which are fully air-conditioned, equipped with standard WC and shower, a mini fridge for soft drinks and fruits, a safe box and a telephone. 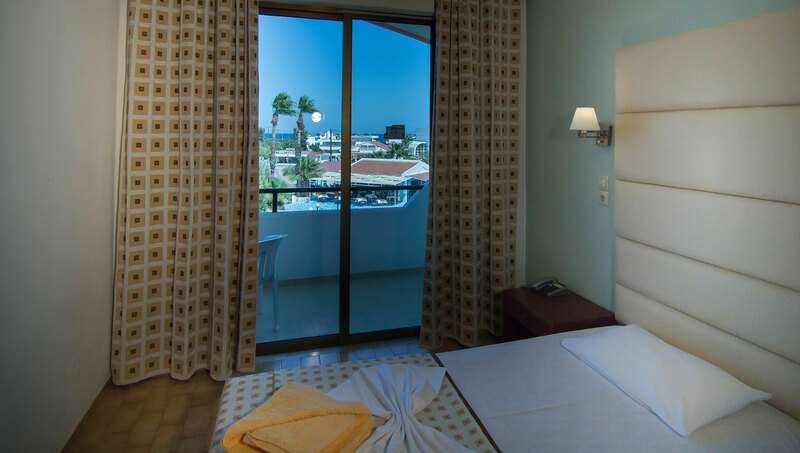 Furthermore, the rooms have sea view to the Faliraki Bay or the country side. With its exceptional amenities, the Hercules Hotel meets the needs of every holidayer and business guest, while our friendly and professional staff guarantees nice service.